Yesterday guest blogger Christopher Klein, author of the new book Discovering the Boston Harbor Islands: A Guide to the City’s Hidden Shores, described the importance of the Boston Light on Little Brewster Island. That first North American lighthouse is shown above in a late-1800s sketch based of a mezzotint engraving created by William Burgis in 1729. The patriots landed on the island on the morning of 20 July 1775, burned the wooden parts of the lighthouse, and removed three casks of oil, gunpowder, and furniture. 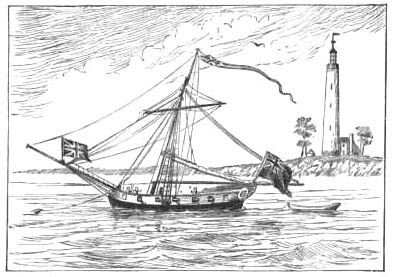 Seeing the beacon in flames, several British barges, a cutter, and an armed schooner attacked Vose’s detachment, but only two patriots were wounded in the action. Some of the Brave men who effected this with their Lives in their Hands, have just now applied to me to know whether it was to be consid[ered] as Plunder, or otherwise; I was not able to detirmine this matter, but told them that I would Lay the matter before your Excellency; I would beg leave to add that these Brave men, were some of them at Grape Island, Deer Island & at Long Island when each of those Islands were Stripped of their Stock &c.
However, the other assessment by Graves as to the ease of defending Boston Light would soon be put to the test. 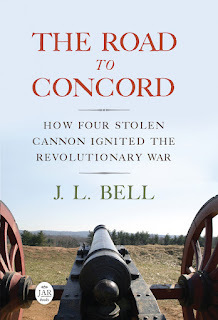 Check back at Boston 1775 on 31 July for the next chapter in the lighthouse’s war story. Thanks, Chris!